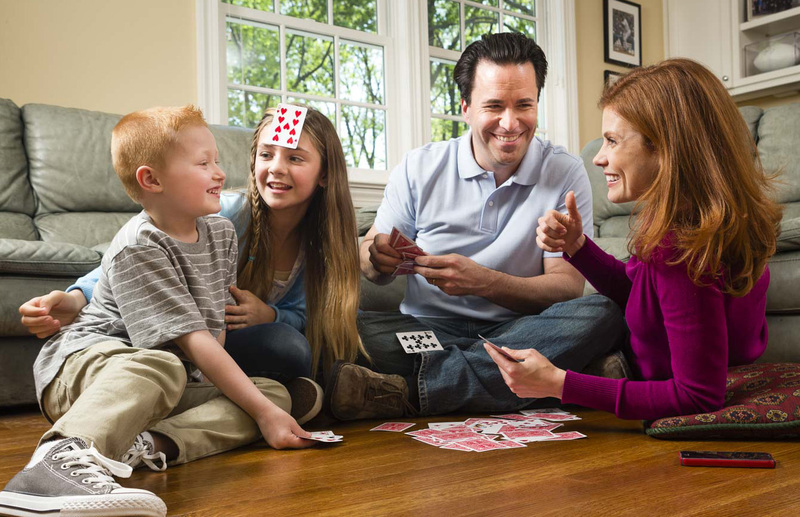 A family playing a board game. Portrait Photography. Commercial Lifestyle Advertising Photography. Children lifestyle photography.